Get your kids into the art of pizza making in the school holidays, with famed chef Johnny di Francesco in his 400 Gradi kitchen. We're not talking about throwing a couple of toppings on a pre-made base here. In the Kids Pizza Masterclasses, your children will make their own pizzas from scratch, even the dough. Johnny di Francesco is Melbourne's most renowned pizza maker, and his Lygon Street restaurant, 400 Gradi, is one of Melbourne's most sought after. 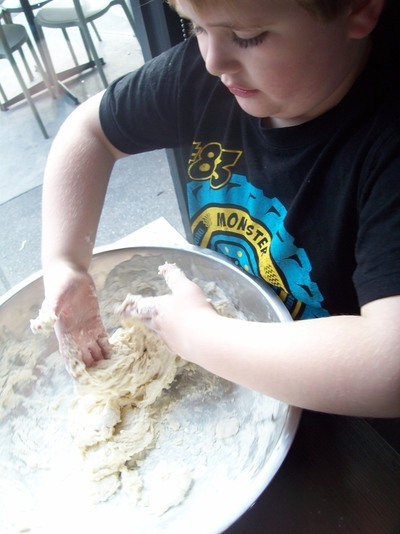 Kids Pizza Masterclasses at 400 Gradi Kitchen run for two hours, and cost $45 per child.